The 2017 Taylor Concert Series continues with Violinists Hannah Reitz and Jesse MacDonald, featuring music by Bach, Prokofiev, Handel and Haydn. The program will be held Sunday, Nov. 19 at 3 p.m. in Taylor Community’s Woodside Building. This free event is open to the public. 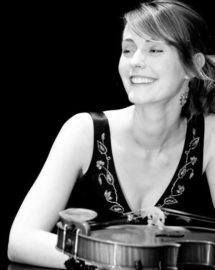 Minnesota-born Reitz graduated with distinction from St. Olaf College in 2010, where she earned her Bachelor of Music Degree and served as concertmaster of the acclaimed St. Olaf Orchestra. In May 2013, she graduated with academic honors from the University of Nebraska-Lincoln’s Master of Music Program. There Reitz served as concertmaster of the UNL Symphony and Opera Orchestra and as a member of Lincoln Symphony’s first violin section. Currently she is string coach with the University of New Hampshire’s youth symphony, Summer Youth Music School instructor, private studio teacher and violin faculty at UNH. Jesse MacDonald, at age 25, has previously held principal positions with Bergen Symphony, Orchestra Amadeus, Boston Civic Symphony, Montana All-State Orchestra, Beverly Hills Chamber Orchestra, Interlochen Symphony Orchestra, just to name a few. 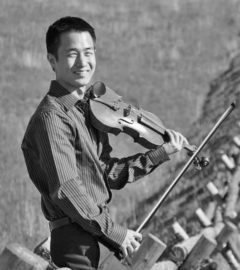 Active in the chamber music scene, Jesse performs regularly with the Luminaria String Quartet, based in New York City and has previously performed as second violin with the Emma String Quartet and the Tempest String quartet, both based out of Boston. MacDonald received his Bachelor’s Degree at the New England Conservatory studying with Masuko Ushidoa and Joanna Kurkowicz; and a Master’s Degree, receiving the Rachmael Weinstock Scholarship for Violin, and the Hugo Kortschak Award for Chamber Music, studying with Mark Steinberg at the Manhattan School of Music.